A week before the Play-Off Final with Millwall, Swindon Town announced the surprise decision that team will be taking to the Wembley pitch wearing their white second strip. After not expecting the level of resistance, Watkins soon had to deny the club were cashing in on promoting different sponsors – as the white kit was emblazoned with EA Sports – or that the hope was to flog unsold stock; reiterating his earlier hopes of reigniting the 1969 spirit to spur Town to another famous Wembley victory. His summary of the issue was to the point “If we win this time, nobody will care what colour we are in.” Words he would come to regret. Indeed most supporters, myself included, put up with this bizarre decision. The resistance was largely muted with nowhere near as much vitriol and campaigning as the white FA Cup kit and sponsorship by ‘The People’ had generated last Autumn. We were shocked, however fans soon realised we had no choice but to support the team. The decision was unilaterally taken some three weeks previously, with no hopes friends could be found at the Football League or the FA who would be willing to relax their rules to allow a u-turn. The flaw in the Club’s rationale was that Swindon didn’t turn up at Wembley and Millwall secured a deserved victory. When supporters look back at that fateful day the white kit is top of the agenda for what was wrong about the day along with that bobble. What the decision to forego the traditional red served to signify was how our relative success had all gone to the players’ heads a little too soon. While Wilson consulted with some players, it now appears not all were party to the decision highlighting the rumoured clique that existed which would come home to rest the following season. 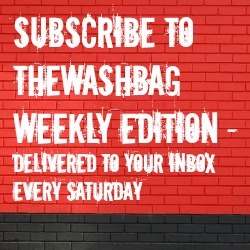 TheWashbag.com has spoken to Vincent Pericard who confirmed the “white kit was very popular with the squad because it looked great”, however tellingly he was “never consulted on the decision” and our former striker “sympathises with the fans and this is something the board has to take into consideration”. That’s the point. The Board are there to guide the club – ultimately on behalf of the supporters – and control the players and management according to our values and identity. There’s no more outward and visible sign of our Club than the red and white of the Robins, which is our greatest collective asset. To pander Wilson, Douglas and the few who took this decision upon themselves, the Board gave the players too much influence to determine a matter which should never have been up for discussion. The red and white of Swindon Town isn’t something you can choose to ignore. Unfortunately this was a lesson the board needed a second public outcry from the supporters in 2011 to finally realise the colour of our first choice kit should always be red. Danny Wilson and Jonathan Douglas your rationale was ignorant and completely flawed, while Nick Watkins should’ve known better and told the squad this matter was never on the table. Your decision to wear the white kit goes into the Hall of Shame. I’m with you on this one, too. If only for the fact that it denied us the chance of hearing 30,000 Town fans sing ‘Come on you reds’ at full volume. It might be a bit of a leap, but I think it contributed to the lack of atmosphere from the Swindon crowd that day. Are you sure about that Swindon Badger? I seem to remember “Come On You Reds! !” ringing around Wembley on the day of the final, despite us wearing white. Worse still, the travelling support at the semi-final away leg at Charlton also insisted upon belting out “Come On You Reds! !” despite the fact that we were wearing blue and they were playing in red!! You’re right GL5, we did sing it didn’t we? But it always peters out a bit when everyone realises it sounds a bit silly when we’re wearing white! The white kit should have been worn in the second leg v Charlton instead of the blue kit. Because it wasn’t, the sponsers EA Sports weren’t pleased and so the club were foreced into wearing white at Wembley. There wasn’t going to be a clash! We’re playing against a side in blue this time again – I don’t think there is anything more pleasurable to watch than a side in red vs a side in blue. To me, it just looks so right. I’m sure Wray and Watkins will not consult the players this time. It’s red or you’re not playing. Just fixed a mistake in the final paragraph which wrongly referred to Jeremy Wray, not Nick Watkins. First entry I do not agree with. Personally, I was in the Jon Douglas corner ….. would have been nicer to see us in red but ultimately (in my opinion) … it’s a shirt !